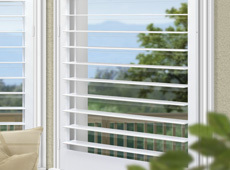 The number one problem with competing shutters is the failure of tilt rods — the short staples fall out and plastic linkages break. In fact, some manufacturers directly state that the tilt rods are not to be touched at all. 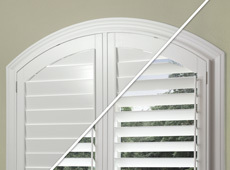 Plus, adjusting shutters pressing on a single lover prevents uniform closure. 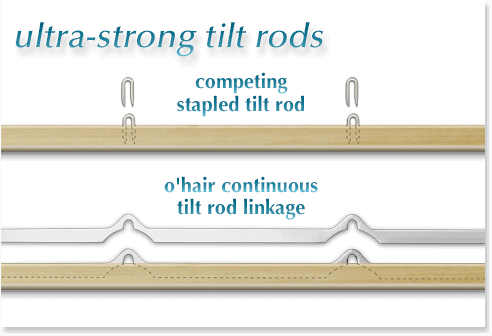 Our tilt rods are intended to be used in real-world conditions and they are designed to last for the life of your home. They feature a continuous aluminum tilt linkage embedded from top-to-bottom. This is attached to deep-set stainless steel staples driven deep in the louver. 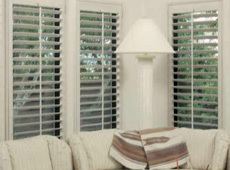 Plus our tilt rods are extremely straight, even in full length oversized panels. We'd love to hear your slant on things. Give us a call and we will do our best to tilt things in your direction.